Blogging has always been about expressing oneself, sharing knowledge with people and always providing them with solutions to their numerous problems with the help of the Internet. 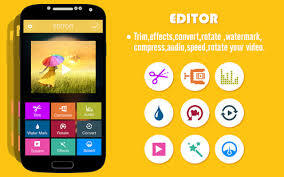 Android as an operating system is growing fast with its availability on a wide range of smartphones and tablet devices as well as the fast growing number of applications that are available in Google Play. 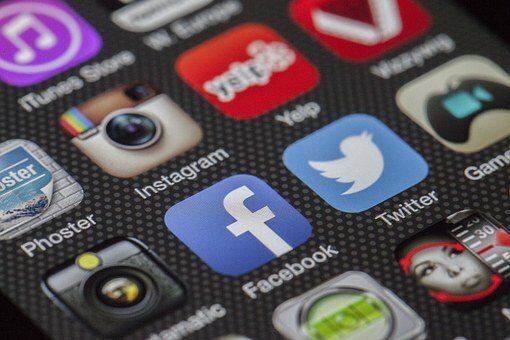 With huge amounts of innovation spurring the technological advancement of mobile phones and the landscape of mobile apps, bloggers these days are offered the opportunity to not only blog on-the-go, but also to conduct many blogging-related tasks on their smartphones when they are away from their computer. putting the power of publishing in your hands, making it easy to create and consume content. Write, edit, and publish posts to your site, check stats, and get inspired with great posts in the Reader. Blogger is another popular platform that many personal bloggers use. If you have a blog on Blogger, then you should definitely give this app a try. However, the functionality of this app is still very limited as compared to the WordPress app, which is surprising as Google itself is behind this official app of their blogging service. To me this is best and the sweetest app to Blog with simple Blogger client, create & edit posts on any of your blogs, create & delete comments. Create draft and Share your post to many social media installed in your phone. 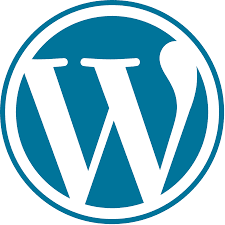 It allow you to Add multiple images to your Blogger posts. Decide where in post your images should be placed. Use simple "wikisyntax" like bold, italic, strike, superscript and link text (for example Blogger will create link to http://google.com with text Blogger.Work with multiple blogs/Blogger accounts. Save and Load your posts to and from SD. Works extra well on all phones with physical keyboard. Don’t know or not sure about the exact meaning of a word that you are going to put into your blog post? Willing to find an alternative word to use in your post? Want to know the meaning of a word or phrase used in comments posted by your readers? Well, Dictionary.com is the solution for all the above problems. The app is especially useful for bloggers that don’t speak English natively and the ad-free version only costs $2.99. Flipboard is the award-winning social magazine used by millions of people everyday. It’s the one place to keep up on all your interests – reading, collecting and sharing stories you care about has never been easier. As a blogger, using this app and browsing through interesting news content daily will give you fresh ideas on what to write about in your next blog post. With a smartphone, we can snap photos on-the-go and attach them to our blog posts either immediately or in the near future. From time to time, we might need to do some minor touch-ups on the photos that we’ve taken and this is where Photo Editor comes in. With this app, you can crop, edit, and resize your photos as well as add effects, texts and drawings onto them. Evernote is a very useful app to capture ideas that come to mind when you are out and about. You can capture an image, write text, do sketches (with Skitch), record an audio clip or create a to-do list with Evernote. All these materials will then synchronized across all your devices so you can be sure that all your notes are easily accessed via your phone, desktop and browser. Type faster with A.I.-powered predictions. Simply swipe-to-type with SwiftKey Flow. Always learning your slang, nicknames and phrases and many more. 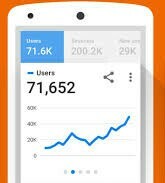 Google Analytics helps to gather the amount of traffic that you receive together with other site metrics like bounce rates and other features that will make you to earn more income from your blog. 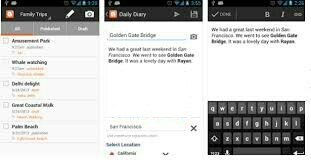 This is exclusive list of Android apps every blogger must have, for easy blogging on the go. You can include your own essential app through the comment box.